How the Mars Climate Orbiter teaches us about the value of interaction. There are a handful of news stories that you hear during your lifetime that stick with you. They leave an impression so deep that they are brought to mind years or even decades later. Some of these are big events that are stored in our collective memory such as the falling of the Berlin Wall or the election of Nelson Mandela. However, most of these moments, while memorable in their enormity, do not teach us a lesson that we can incorporate into our daily lives in the way that the NASA Mars Climate Orbiter from September 1999 did for me. Maybe, like me, you were a bit busy freaking out about the impending Y2K deadline and didn’t take note of the Mars Climate Orbiter, so I will remind you. The NASA Mars Climate Orbiter was supposed to become a Mars based weather station but instead ended up as expensive dust on the Mars surface after burning up in the atmosphere. The NASA review board determined later that the problem resulted from a very simple data issue. One system on the Orbiter calculated measurements in the Imperial system (pounds per square inch) and another downstream system assumed that the measurements were in metric units (newtons). The resulting error went unnoticed during testing and ended in catastrophe. What is great about this story is that it is actually a teachable moment. The Orbiter is a reminder of just how incredibly hard data problems are. And, how money and technology aren’t the solution. The Orbiter was $125MM project and it still failed miserably because of a ‘simple’ error. While most data projects are slow and expensive, they aren’t quite that expensive. 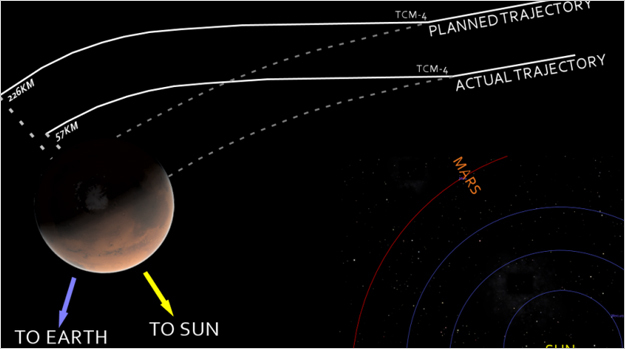 The Mars Climate Orbiter is a reminder of just how incredibly hard data problems are. Traditional BI projects sacrifice flexibility and agility for security and operational efficiency. New solutions often save money but just throwing the problem over the wall to the business which creates a wild-west style of self-service and results in an incredible amount of risk. Can you say ‘expensive Mars dust’ or ‘2008 financial crisis’? So the question becomes - how do we go about delivering on the IT promise while not killing innovation? Not just allowing but encouraging users to try out new ideas. Providing support to users in a consultative way. Facilitating the sharing of new ideas with others who might benefit. Differentiating between certified and non-certified content. Providing a path to certification of new content so that can be trusted. Technology that supports this collaborative style of creation is important for sure. However, I believe that it is much more important to focus on the people and our relationships. Face it, anyone reading or writing on this blog is probably more than just a little bit geeky. We often get ourselves too wrapped up in the cool technology when at the end of the day, it really is all about the people – our business users, our partners and our customers. So – slow down – forget about the tools and technology for a while and focus on what you are doing to build relationships. Throwing more technology and money at the NASA Mars Climate Orbiter wouldn’t have changed the outcome. But maybe a more interaction between the teams might have.